It was one of the most dangerous missions in history. 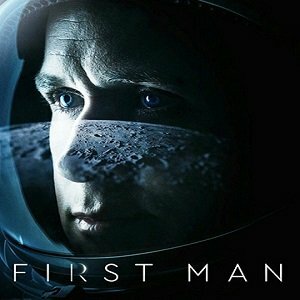 Neil Armstrong (Ryan Gosling), leads the team of men, chosen by NASA, to land the first man on the moon. The movie will explore the sacrifices and the cost on Armstrong and on the nation. So I love these true story films about important moments in history. There always something exciting about seeing the story behind the story. First Man, really does an amazing job with some real insight to who this American Icon really was. I never knew how quiet and soft spoken Armstrong really was, and Ryan, who’s great at letting his body language tell the story, nailed it. The director, Damien Chazelle, gave us a very interesting view with this one. A lot of Point Of View shots, so we can try and visualize what Armstrong and his crew mates are experiencing. From sitting in the cockpit of their rocket to the view of the moon, in the silence of space. But most importantly, even though we already know how certain situations play out, they were still able to create a emotional bond, with us, as we watched, still hoping for the best but expecting the worst… I really liked that part. Now except for a few minor slow parts, this is an outstanding movie. The superb line-up for it’s cast, mixed with one of the greatest stories in US history, this one will not disappoint.